This is a piece of work by a young student who is currently taking the portrait course. 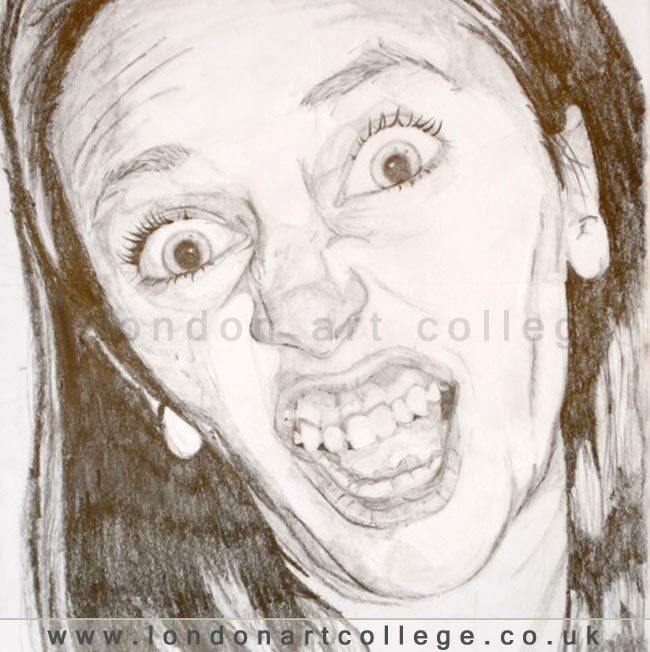 This drawing is very expressive, the student has captured the look of the model and drawing people pulling faces can really help if you are learning. The wrinkles of the skin, the expressive eyes, the head on an angle can all work in your favour far more than an plain, straight on pose.